This was taken today. Along with the rest of the northeastern US, we’ve been having a cold, snowy April. We haven’t had a single nice, warm spring skiing day, until today. Yet it snowed a fair amount this past week up in the mountains. This meant that our mountain of choice for today, Wildcat, was 100% open - even the trails with no snowmaking, which were showing very few bare spots. The snow was soft and spring-like, but it wasn’t so warm that I couldn’t wear a jacket. It was perfect. 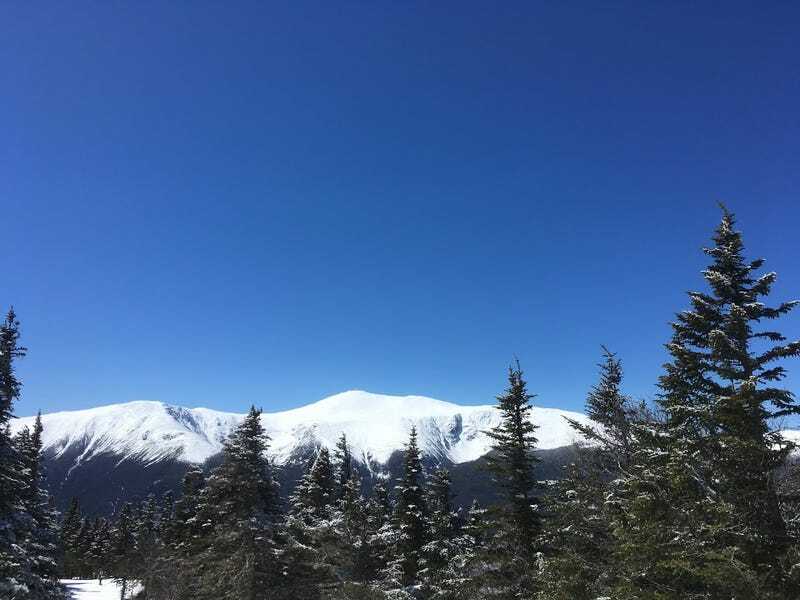 And holy view - Mount Washington looked amazing today. What a great end to the season, drinking beer in a t-shirt at the base, looking across the valley at this. And actually, if we want to ski there again, they’re going to be open two more weekends. Because why not?